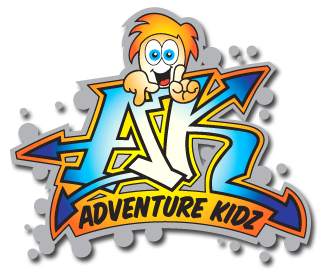 Welcome to Adventure Kidz – a unique indoor adventure centre where groups, kids, friends and families can enjoy an action packed, fun filled time together. As well as having the UK’s first indoor high ropes course, we also have indoor quad bikes, laser guns, a brand new baby and toddler area with sensory activities, a soft play area with multiple slides with a 6 metre drop slide, football and basketball areas, four party rooms, first rate food and drink and so much more! We’re very easy to find, with on-site-parking. So, please check out our website to see what else we have to offer and we look forward to seeing you soon! Adults (18 years +) – One Free Adult per paying child. Additional Adults £1 each – Peak and Off Peak. Registered Child Minder £4.45 per child (proof required). Older children (13-17 years) can be admitted at our discretion but charged at the child rate of 4-12 years. Quad Bikes – extra charge of £1.00 per ride. Term time only, Monday – Friday 3.00pm – 5.30pm. We are open 7 days a week from 9.30am until 6.30pm – subject to any change, please see red box below. For security reasons, all visitors must register their details at reception. Parents must remain on site and supervise their children at all times.